For a tried and true experience, search no further than the Certificate of Educational Technology and Information Literacy (COETAIL). I witnessed my wife taking this online class and in my opinion, it is the best way you can learn how to integrate technology into your classroom. 1. It pushes you to use the knowledge and skills you are learning and incorporate them right-away into your lesson plans. 2. 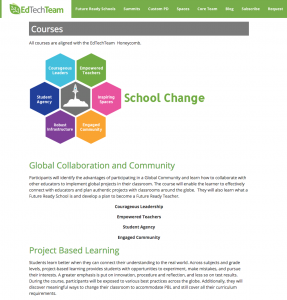 Learning in a cohort, your connections will reach out globally, anchoring you in the professional learning community in your school and developing your professional learning network across the world. 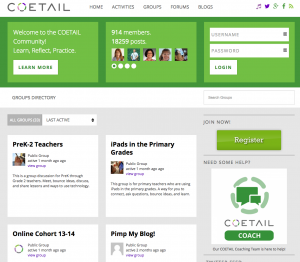 Unfortunately the COETAIL website is notoriously difficult to navigate, but fear none, this page has all the program details you need. Usually a new cohort will begin every year in September so sign up for their newsletter and keep an eye out for the enrollment window. 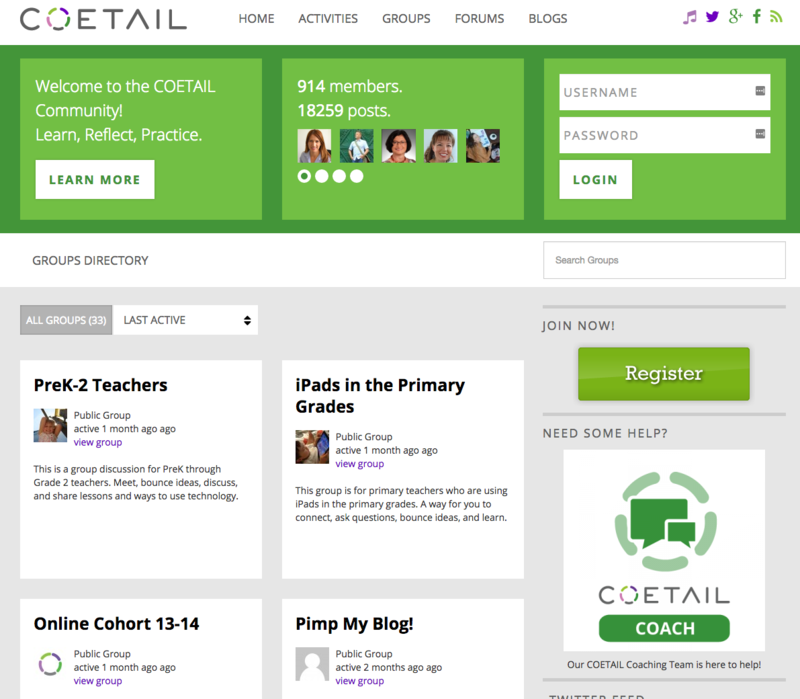 And don’t hesitate to reach out to one of the COETAIL graduates (Tom is a one of them and a prior COETAIL coach) to get more information about the course. 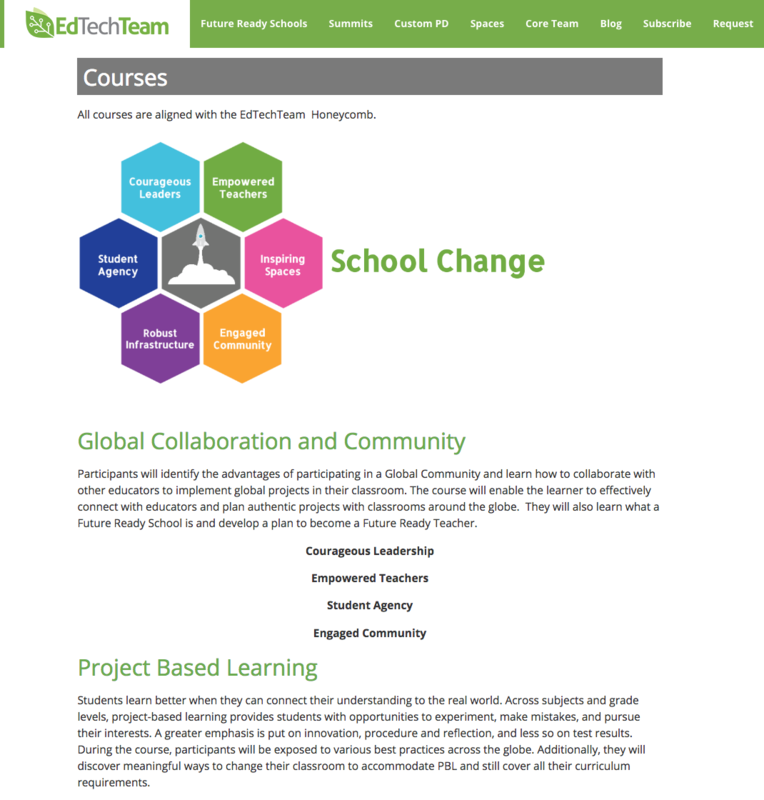 EdTechTeam is the organization behind some of the best tech conferences in the world. They continue their foray into technology leadership with a 12-week course that looks very promising. The first one is already sold out so keep your ears to the ground and get ready to pounce on the next one. 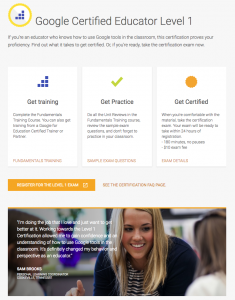 Google offers online certifications for educators on an amazing interactive platform. The training fundamentals online classes will take you through every single Google Apps that are applicable to teachers and students. The follow up exam will let you assess your skills very accurately. This is a completely self-paced environment and so with a little dedication you could become a Google Certified Educator in a matter of days. 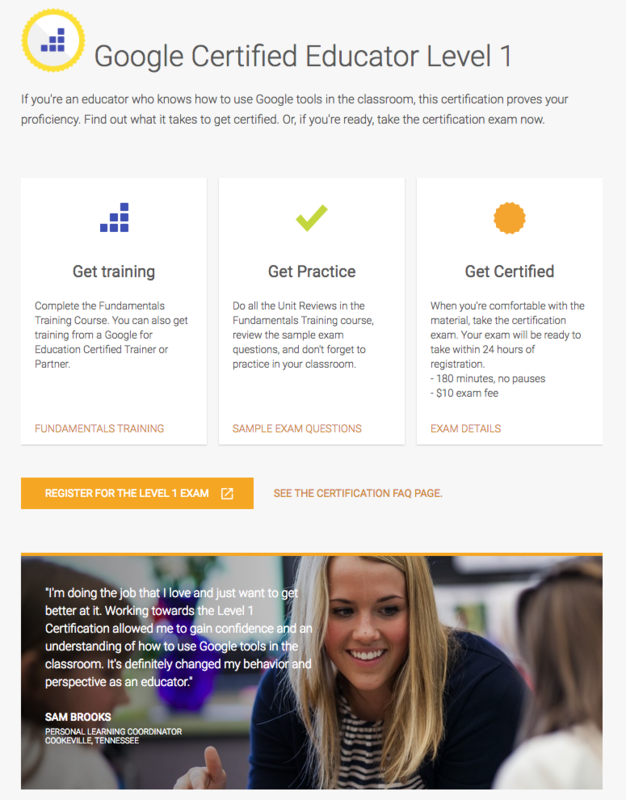 Google has recently revamped their certification platform and let me tell you, it is worth taking one of their online interactive test to understand what the future of personalized learning environment will look like. The test blends intriguing multiple choice questions and real life scenario. To complete the latter, you will be using a fully functional Google account belonging to a fictional school. The tasks themselves are extremely relevant to teachers and very close to real-life. I had never seen something quite like that before. It’s worth taking the test, just to see the test. I came out of the two-hour long test astonished by the quality of the exam (something that does not happen to me with CollegeBoard material). How radical of a transformation can you expect? Just like any other PD opportunity you encounter, your take-aways will depend on how much you invest into it. It is somewhat surprising but teachers don’t always abide by their own rules and therefore do not necessarily make the best students. Don’t be that teacher and charge in with all your energy!